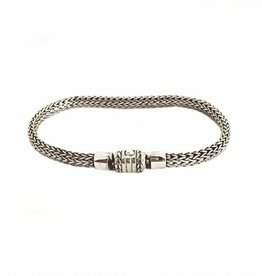 Original sterling silver bracelet handcrafted according traditional silver technics by our silversmith on Bali. 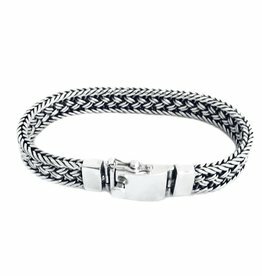 The length of the bracelet is about 18,5 cm and the width about 5 mm. You will receive the bracelet in a giftbox.